Dallas Orthopedic and Shoulder Institute Providers Jeff Zhao, D.O. Jeff Zhao, DO is a board-certified orthopedic surgeon at the Dallas Orthopedic and Shoulder Institute, located in Sunnyvale, Texas. Dr. Zhao provides expert treatment and care for patients with a variety of injuries and conditions including rotator cuff tears, tennis elbow, bone fractures, shoulder injury, shoulder dislocation, and frozen shoulders. He is experienced in performing total shoulder replacement and any complex revision surgeries as well as knee replacements. Dr. Zhao graduated from the University of Texas at Austin before earning his medical degree at the North Texas Health Science Center, Texas College of Osteopathic Medicine. He was an honorable recipient of both the Welch Scholar Grant and the Sparks Osteopathic Foundation Scholarship. He completed his orthopedic surgery training at the Kansas City University of Medicine and Biosciences. In addition to his medical training, Dr. Zhao completed an orthopedic surgery fellowship to sub-specialize in reconstructive surgeries for the shoulder and upper extremities. Dr. Zhao is dedicated to providing the best possible patient experience. His positive attitude helps patients feel welcomed and ensure that no issue or condition is too challenging. He focuses on providing individualized care to relieve pain, treat underlying conditions or injuries, and to restore mobility and strength. Click here to learn more about Dr. Zhao. 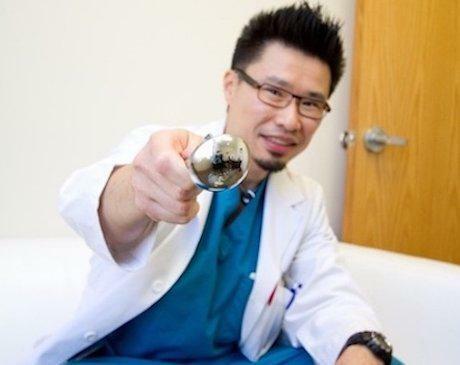 Dr. Zhao and his team are excited to meet you in person!